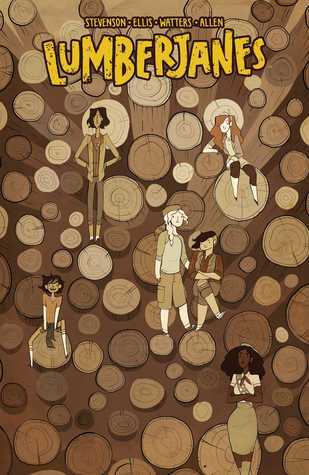 Image Description: the book-cover of Lumberjanes, Vol. 4: Out of Time . The cover has a sepia black and white overtone. The background is a large collection of logs sitting on top of each other to form a large pile. The six main characters are scattered around the cover, sitting and standing on logs, with Jen standing on the ground at the bottom of the cover. Jen just wants a normal lesson with her cabin, teaching Jo, April, Mal, Molly, and Ripley the basic survival skills needed without any supernatural intervention. But when a blizzard hits camp, Jen finds herself separated from the girls and in more trouble than ever… until a mysterious taxidermist swoops in to save the day. 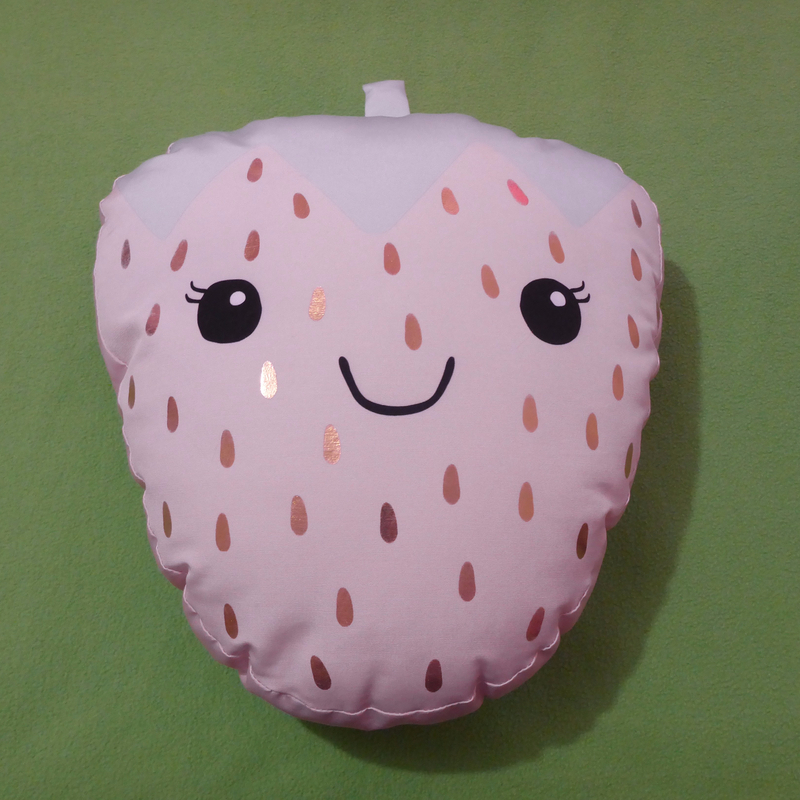 Who is she and what is her relationship to Rosie? Join Jen as she finds a way back to her girls, and a way to save the day! ~The Plot Thickens: The reader is finally (Finally!) getting some form of answers with regards to the plot. The reader finally knows a little more about The Bear Woman, who prowls around the Lumberjane camp. The reader is also shown a key-point in Rosie’s past, the current head of the Lumberjane Camp. While it was obvious that there was a past connection between Rosie and The Bear Woman, in this edition, the reader finds out just how much of an impact and power that The Bear Woman used to have, especially on Rosie, and I have a feeling we’re only just scratching the surface. ~Character Development – Jen and Rosie: I really liked Jen’s character development in this novel, I liked how she was still able to see the flaws in the Lumberjane Camp system, however, she wasn’t tempted over to an extreme point of view either. The rest of the Squad, while willing to acknowledge that Jen may have had a point about their lack of practical skills, also came back to find her. This series really does examine the idea of female friendship and its deeper impact. I also liked how Jen called out Rosie for her past behaviour, Rosie has been taking the Dumbledore approach to information (keeping everything all secret and hoping ignorance will keep them safe), which of course doesn’t work. Jen forces Rosie to tell them some information about what’s going on and, as a result, the reader finds out why Rosie has a rather lax approach to rules and safety. I hope that Rosie will eventually see that going from one extreme to another isn’t the right way. All in all, an intriguing addition to this series, and I’m eager to get my hands on the next volume. I have to know where this series is headed.